Place the rice and water in a medium saucepan, and bring to a boil. Reduce heat to low, cover, and cook 20 minutes, or until rice is tender and water is absorbed. Melt the butter in a skillet over medium heat. Stir in the garlic, and cook about 30 seconds. Stir in the red wine, Worcestershire sauce, chipotle peppers in adobo sauce, and salt. Mix in the shrimp, and cook 5 minutes, or until opaque. Serve over the cooked rice. 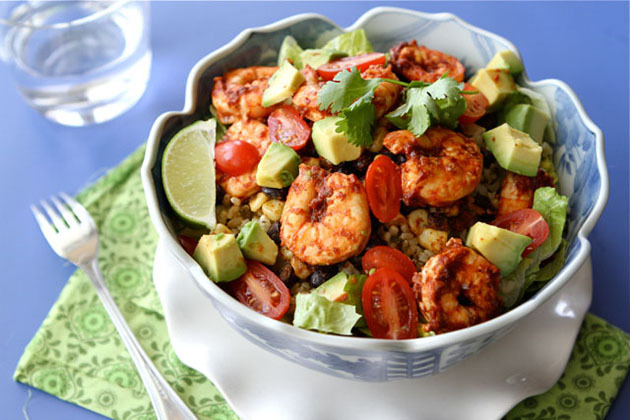 No comments for: "Chipotle Shrimp Recipe"